EPA negotiations are going on in Accra right now. Remember, the EU and the West depend upon African resources. Africans need to drive some hard bargains in order to participate in the benefits of African wealth. Given Ghana’s delicate and potentially game-changing position in the West African EPA framework, it is imperative to call on the Government to show consistency of purpose and offer some leadership at this critical juncture in the EPA process. The Ghanaian President spoke against the EU’s imposition of arbitrary and aggressive deadlines on countries like Ghana to sign the EPAs as well as the EU’s insistence on far-going, outright liberalization and how these will damage national revenue (through sharp reductions in customs revenue collection); adversely impact entire economies of what are still developing and least developed countries; and undermine regional economic integration such as that pursued by West African states through ECOWAS. 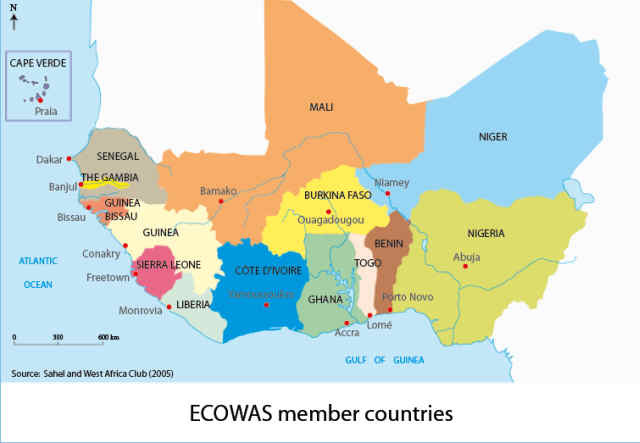 Despite such clear grasp of the fractious and anti-developmental nature of the current EU-driven EPAs, Ghana has continued to equivocate on its own EPA positions in ways that undermine and weaken ECOWAS as a whole. Even the pro-free trade World Bank states that opening of more than 65% of West African markets on equal terms to EU companies and goods will destroy domestic industry. Yet, in the face of an already struggling Ghanaian industry, barely gasping under the choking weight of unfair competition by imports, and despite the ECOWAS position of 70% market opening in the EPAs, Ghana’s go-it-alone interim EPA offers an 80%+ opening to the EU. As long as such as this exists the EU will use it as a benchmark pushing the entire region towards this lower, disastrous threshold. For the EU, this strategy is continuously being developed, evolved and renewed. For instance in 2008 the EU launched its raw material initiatives that seeks to enable Europe gain unimpeded access to raw materials to guarantee proper and sustainable functioning of the EU economy. … It is therefore not strange that the issues expressed in the raw materials initiative find expression in the EPA negotiations. The European Union had based its assessment and projections for the coming decades on the firm conclusion that its survival depends on access to and control of strategic raw materials, assets and markets across the world hence the growing importance to it of projects such as the EPAs. With the rise of new competitors on the global scene like China, the need to leverage spheres of interest and markets controlled since colonial times increases even more, and with it, the (as yet) non-violent political warfare for the Continent’s (Africa) resources. The warfare will be intensified in the wake of the never-ending financial and economic crises that engulfed the euro-zone since 2008. The stakes are very high. For us, it is our economy, our development and our livelihoods. But it is also about our governments and their integrity at the national but also the sub-regional level as well. We strongly opposed to any new concession for opening the West African market to the European Union and are warning West African negotiators against any violation of the mandate given them by the region. (3) In accordance with the MMC’s recommendations of November 2011 in Accra, the civil society requested West African decision-makers to initiate immediately a high level policy dialogue with the European Union to find a fair solution that would protect current and future interests of Côte d’Ivoire, Ghana and the entire West African region. It is in the economic interests of the EU and the West in general that African countries remain underdeveloped suppliers of raw materials. Aid and EPAs provide a cover for agricultural dumping and other unfair trade practices that undermine African business, farmers, and entrepreneurs. It would be in all our interests if Ghana will provide some leadership with a bit of backbone in the current EPA negotiations.